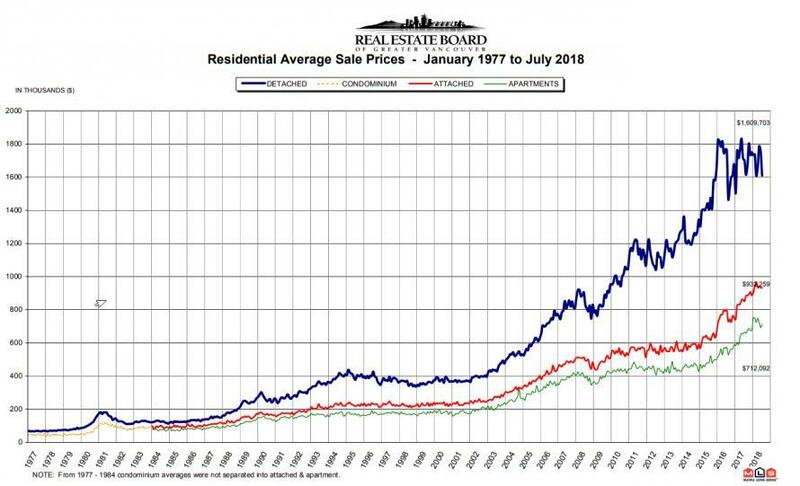 Thanks to an influx of demand from Chinese nationals and other foreigners, Vancouver's housing market soared in the post-crisis years, with prices more than doubling to levels that were clearly unsustainable, cementing the Pacific Northwest metropolis' status as the most unaffordable housing market in North America. But the torrid growth ground to a halt earlier this year as home sales plummeted, along with construction of new homes and apartments. The typical single-family home in Vancouver costs more than C$1.5 million ($1.15 million) - roughly 20x the median household income. In an effort to let some air out of one of the continent's most egregious property bubbles, British Columbia's government has announced an unprecedented crackdown on money laundering in Vancouver's property market in an attempt to stop a housing-market collapse from taking the city's GDP with it. The initiative, launched by Attorney General Daid Eby, seeks to create more transparency to expose all the "numbered corporations" (often used as fronts for foreign investors) buying property in Vancouver. The probe will also examine horse-racing and luxury car sales. "There is good reason to believe the bulk of the cash we saw in casinos is a fraction of the cash generated through illicit activities that may be circulating in British Columbia’s economy," Eby told reporters Thursday in the capital of Victoria. "We cannot ignore red flags that came out of the casino reviews of connections between individuals bringing bulk cash to casinos, and our real estate market." "Our goal is simple, as you’ve heard: Get dirty money out of our housing market," James said. "When the real estate market is vulnerable to illicit activity and unethical behavior, people, our communities and our economies suffer. This is something we have to tackle." Still, the success of these initiative will be constrained by the fact that they're only meant to learn the mechanics of how money is laundered via the Vancouver property market, and then make recommendations about how to stop it. Indeed, it's entirely possible that, by the time anything is actually done, criminals will have changed their strategies or shifted to different markets. Meanwhile, a study by Transparency International found that it's impossible to identify the owners of nearly half of the most expensive properties in Vancouver. However, it's only a matter of ti me before prices begin their dramatic descent as sellers finally capitulate and drop their ask down to the highest bid.